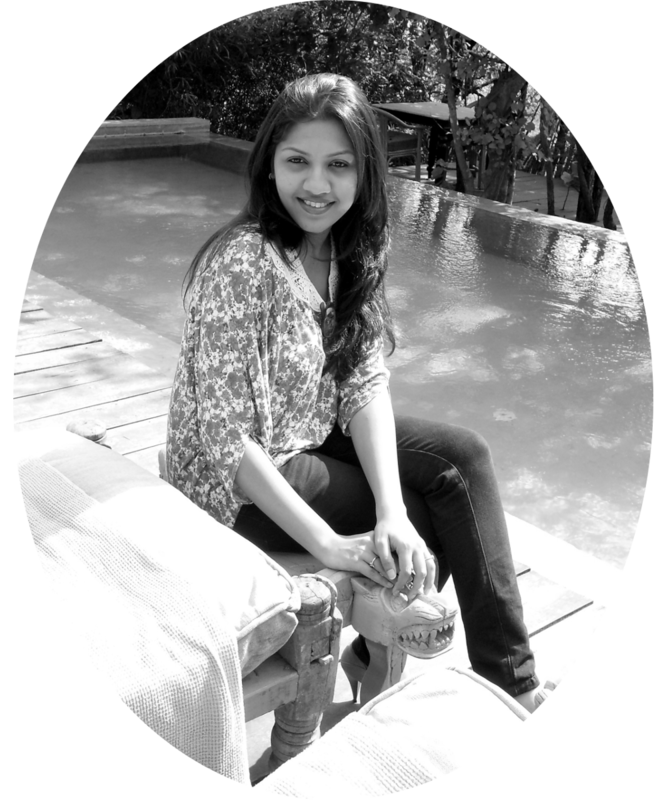 We have Nikita Azad as a Guest Designer at Lulupu blog with a challenge inspiration project, actually I can not call her a guest, because she is our own. She was a designer and blog-coordinator when I joined Lulupu. Wonderful lady inside and out. She is 'writer in making' and 'crafter by heart'. I loooove to write and I am currently working on a book which is why I stepped down from the Design Team. And I guess I’m blabbing, so I’ll get straight to my inspiration project for this challenge. This project was created to help someone propose. Let me elaborate. So this girl is a photography enthusiast and her fiancé wanted to do a Hollywood style proposal (after the official Indian engagement) with going down on one knee, et all. And he wanted to have the ring inside a camera. I thought, wow, this is exciting. I get to make a camera. But when I saw what a real DSLR camera looks like, I was wondering how I’ll be able to make a replica out of paper with only a paper trimmer and scoreboard at hand. Then I thought that it doesn’t have to look exactly like a REAL camera. It just has to resemble one. So I picked a random size – 4”wide, 2.5”tall and 2”deep – and began do draw some lines to figure out what size of paper I’d need and where I’d need to make the cuts. Turned out, a 9” x 10” sheet of card stock was enough to make a small box with a flap for the box. The length of the lens turned out to be a little long, but hey, there are loooong camera lenses. So it looked slightly weird but not bad. The only thing here is that I had to use liquid glue at least to adhere the lens. And because the CS was black, when the glue dried up, even though it dried clear, there was a watermark kind of thing. And now, as a bonus, here are the measurements of the camera. Everything with diagonal pencil marks needs to be cut out. All the other lines need to be folded inwards, towards the center of the paper, i.e., towards BODY FRONT. BODY LEFT has two flaps, BL1 and BL2. 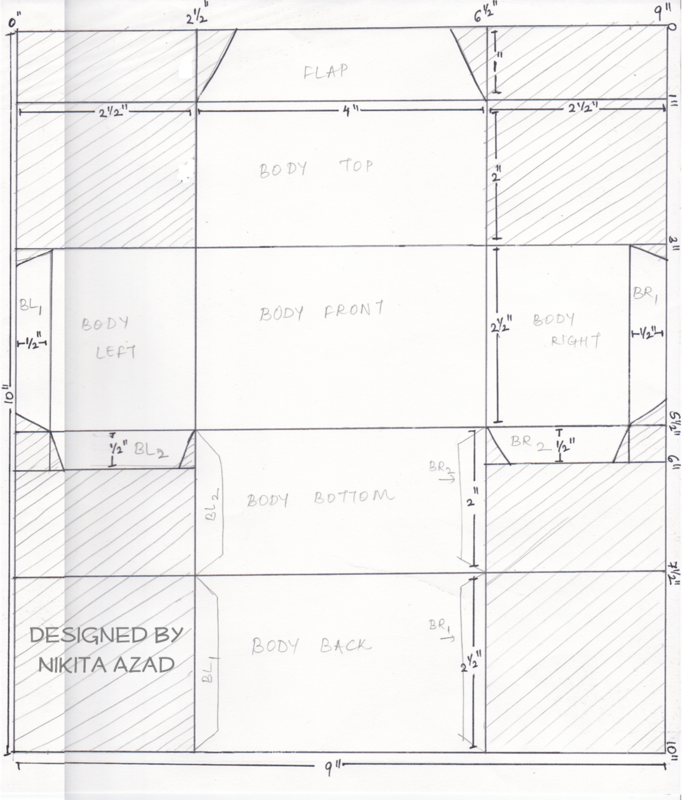 Similarly, BODY RIGHT has two flaps, BR1 and BR2. If you have any questions or are unable to understand the diagram (yes, I’m calling it that! :P) you can leave a comment here or on my blog. It was nice to be back here! I’ll see you guys soon! A gift bag with a Tutorial ! 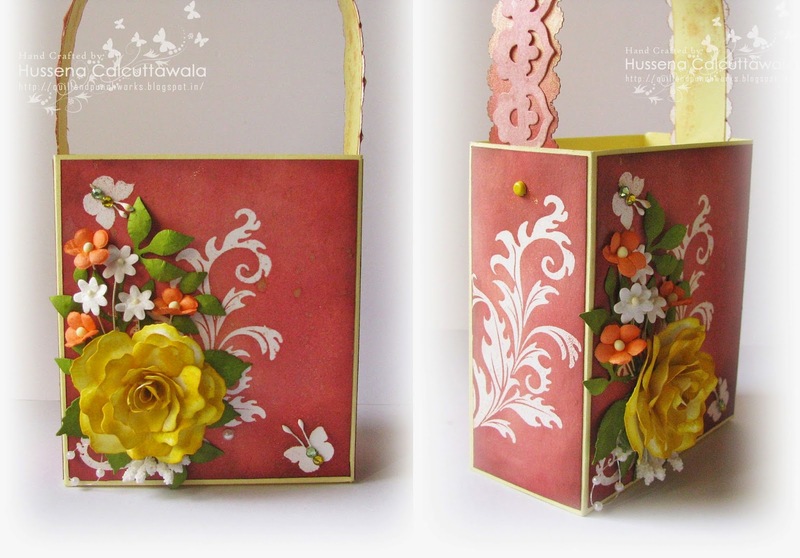 This is Hussena here with my inspiration post for our current challenge 'Go 3D' hosted by our very talented DT member Shilpa. As you all have seen my fellow DT members have shared some really awesome inspiration for this challenge and now its my turn. The side and the back view of the bag! I have made six of these tags to gift along with the bag. 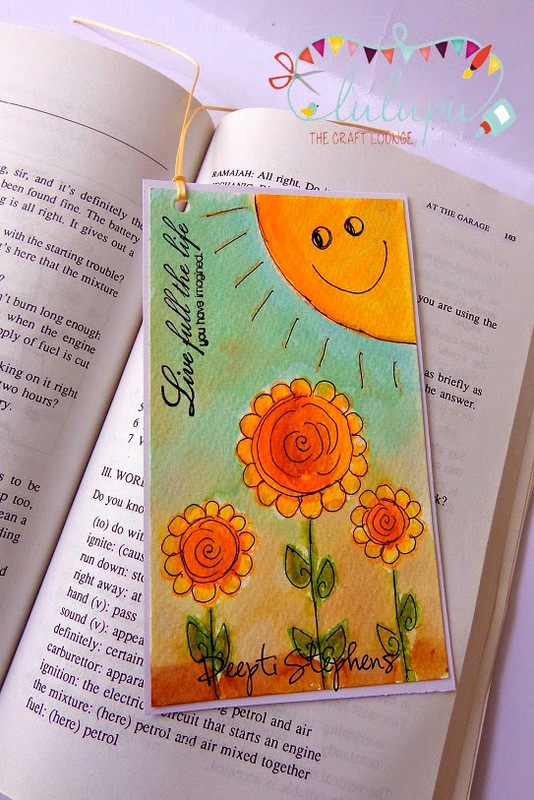 I have kept the tags really simple and the sentiments quite general so that they can be used for any occasion. 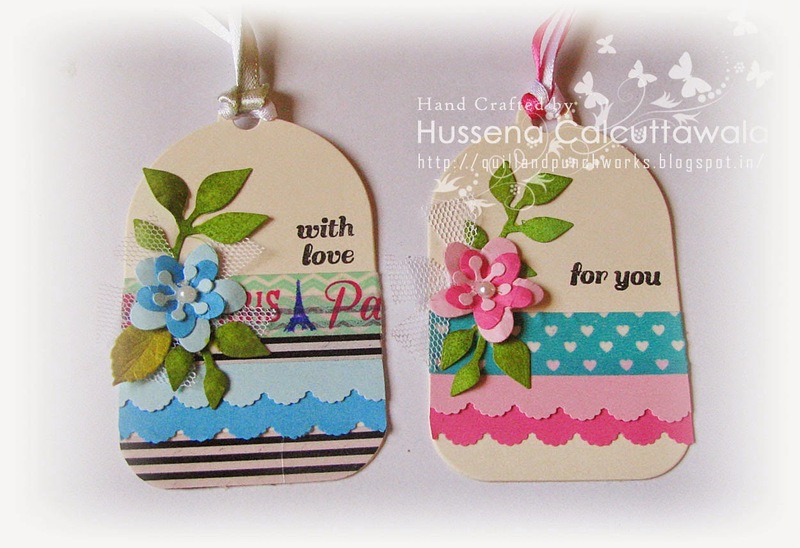 I also plan to include some chocolates along with these tags! 1. 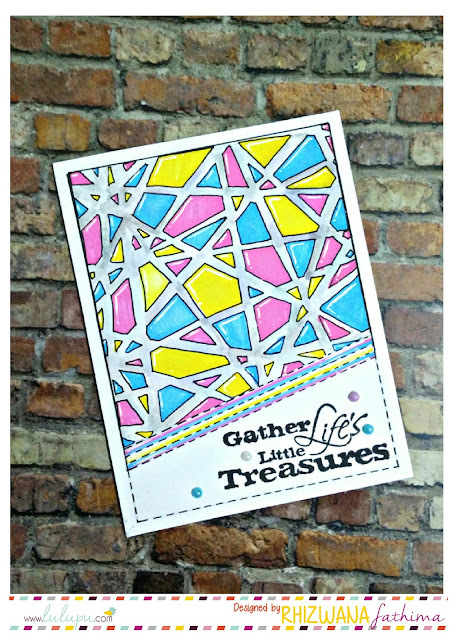 Take a 8 X 11 inches piece of cardstock. 2. On the long side (11 inch), score at 4.5 inches and 6.5 inches. 3. On the short side (8 inch), score at 2 inches and 6 inches. 4. Following the below template, cut on the dotted lines of your scores and fold all your scored lines to create the base of the bag. 5. 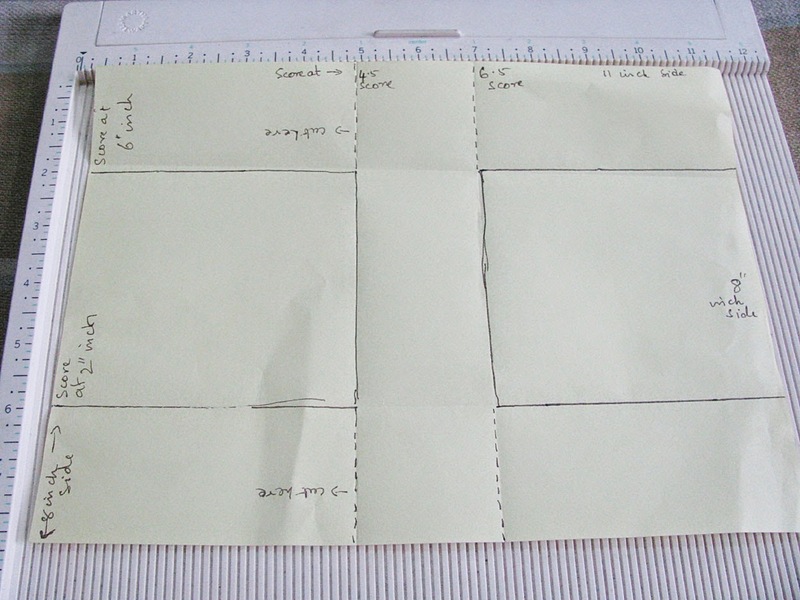 For the handle of the bag, I have taken a piece of cardsotck measuring 11 inches x 1 1/2 inches. 1. 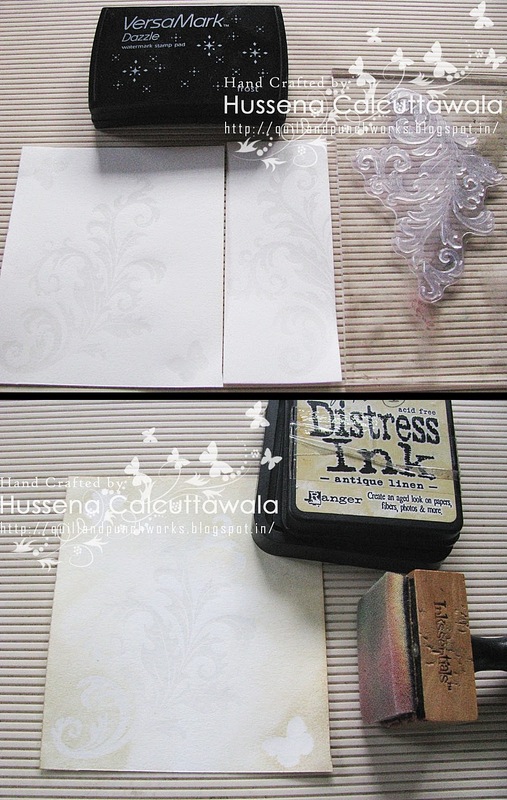 Stamp and clear emboss any design of your choice on your watercolor cardstock using Versamark ink and Ranger Super Fine Clear Embossing powder. 2. Starting with your lightest ink start blending the colors on your panels .I have started with Antique Linen distress ink first, second layer will be Tattered Rose,third layer of ink will be Victorian Velvet,then Fired brick and lastly I used Vintage Photo distress ink to color only the sides of the panels. 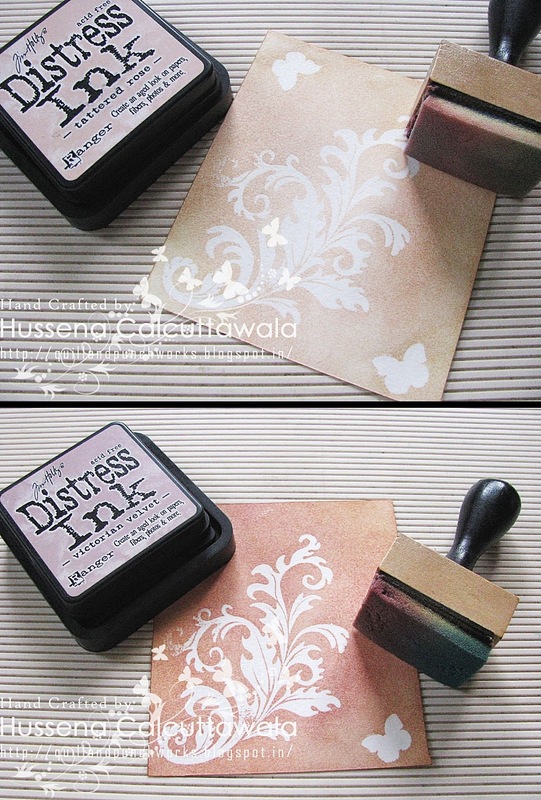 As you keep adding layers of ink, your embossed design will resist the colors creating a beautiful background.I have shown each of the steps below Please click on the individual pictures to get a clearer idea. 3. 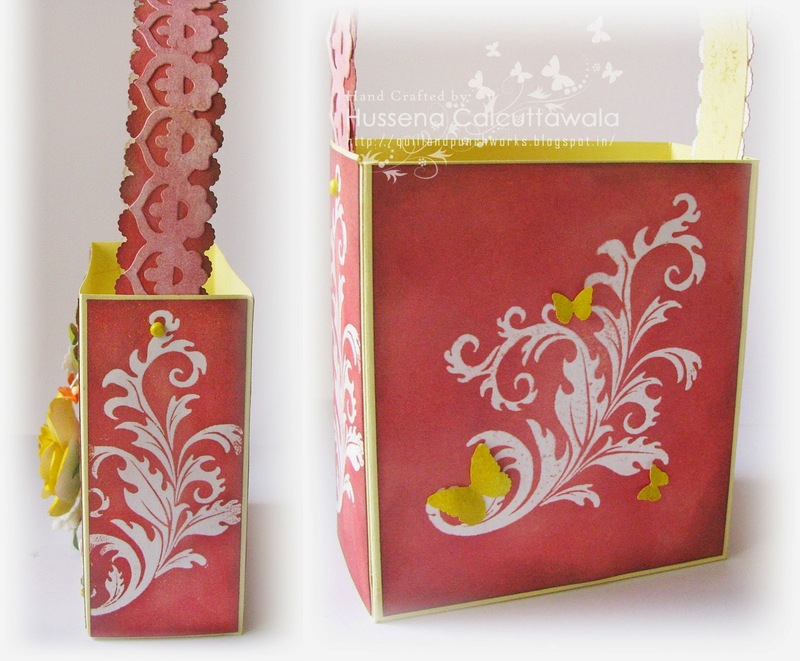 After all your panels are similarly created, you can adhere them onto the bag and add your embellishments. 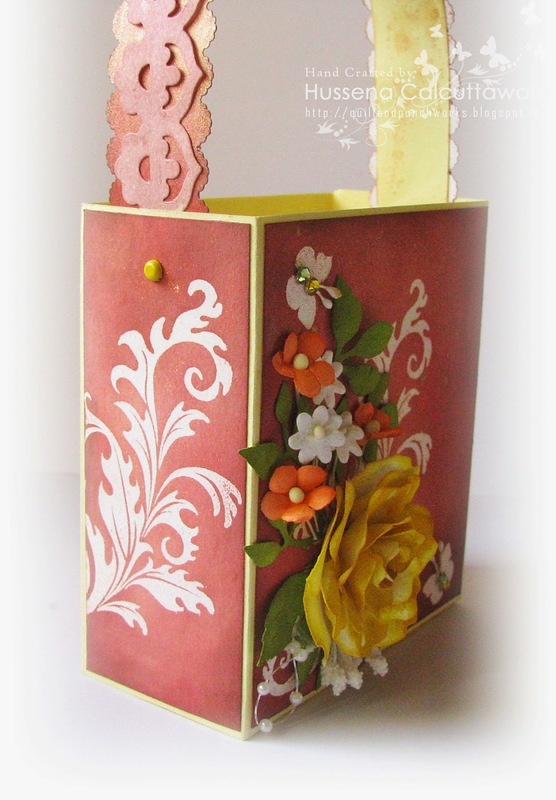 World Tour-Smooth Value Pack Cardstock 12"X12"
Home Sweet Home.. a 3D project..
3D Challenge with Mixed media Easter eggs! Winners and Top 3 for Lulupu Challenge #33! Lulupu Challenge # 34 - Bingo!